Who will you turn to when you need roadside service Fayetteville NC residents can trust when they're not a member of a program that offers this service? Sure, you could call your auto mechanic to come to your aid but this might not be good enough. If your mechanic doesn’t have a tow truck service or they are working on someone else’s vehicle, what will you do then? When you require the help of roadside assistance you can rely on Fayetteville Towing Company in Fayetteville, NC. We know what you’re thinking, but trust us when we tell you our drivers are equipped to handle your roadside service needs. If your tire blows out, your car suddenly stops, lock your keys in the car or your experiencing ignition trouble, let us send one of our qualified service professionals to assist you. All of our drivers receive training in auto mechanics in order to assist with your service needs. If they access the situation and are unable to handle the situation, then they can tow your vehicle. We’re reliable! 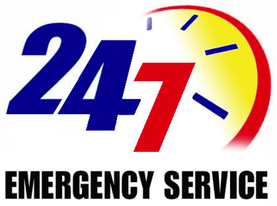 When you contact us to help you out, we don’t wait for you to call us back to see if we have sent someone or not, we immediately dispatch our technicians to your location. We care about our customers and we show you by getting you the help that you need as quickly as possible. Don’t wait around all day for someone to show up when you’re spending your hard earned money; give us a call instead. We have the tools necessary to assist you with your service needs. Not only do we have the tools needed, our drivers will never arrive without them. Our goal is to offer you the most efficient roadside assistance possible. We are capable of doing this because we hire hardworking, committed drivers who care about other people. You won’t find any other car towing service near me that is as committed to helping their customers as we are. When you’re finances are limited, we can still assist you. Just give us a call and we’ll take it from there. You’ll always get what you pay for. Don’t take it from us; try us out for yourself. The only thing that would make your situation worse is if we were not able to take care of your issue and on top of that, we couldn't get your car towed to where it needed to go. If we are unable to assist you and get your car moving again, we will gladly tow your vehicle. This is why our drivers arrive in our tow truck for the best roadside towing service. A talented team of auto mechanics care for our tow trucks. They are serviced regularly to prevent them from breaking down. We’re not able to take such good care of our motorists we serve if we aren’t taking care of our fleet of tow trucks. When you want to make sure you can get things resolved quickly, contact our Fayetteville Accident Towing Company where we proudly guarantee your satisfaction.